What can a portable jump starter do for us? 1.Help jump start your car when it is in emergency situations. 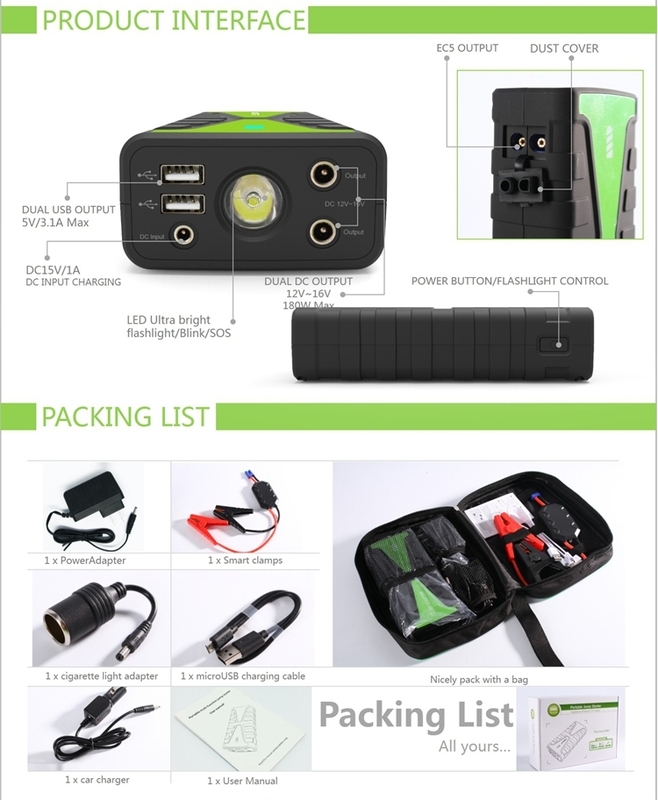 2.Charged for your mobile phone/laptop/camera/light/fan,etc. 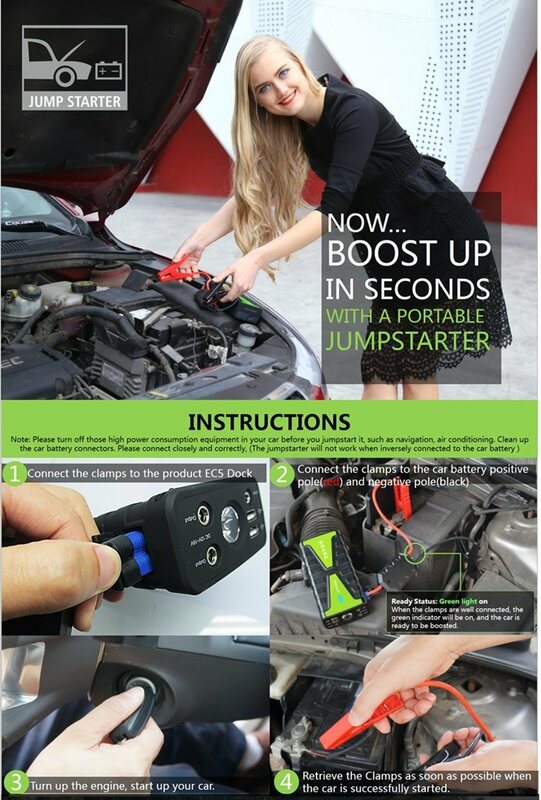 How to jump starter your car? 1. Insert the battery clamps into the interface of EC5 dock. 2. Clip the red clamp to the positive electrode and Â black clamp to the negative electrode of carÂ battery. 3. 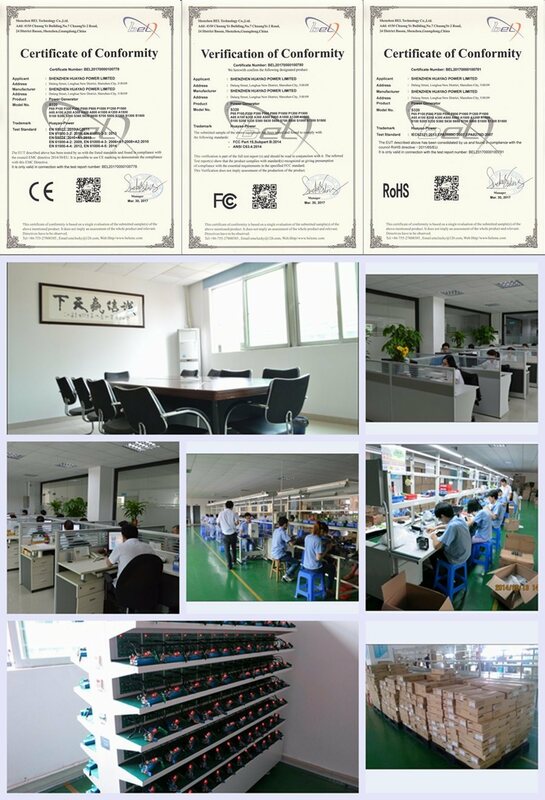 After connection, the unit will be wake up, and ready information will display on the screen. 4. Start the car in time. Q1.What is the lifetime of this product? A1.Usually 3-5 years in normal condition. Q2.How to extend the life of this product? 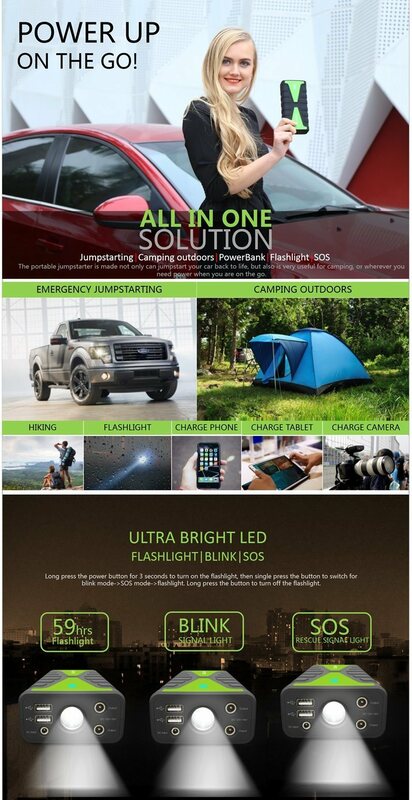 A2.It is best to charge it within 3Â months and at least once 6Â months.